Bye bye Stone, Duchene and Dzingel. Ouch. Two weeks ago it was reported that contract negotiations between Ottawa Senators owner Eugene Melnyk and pending unrestricted free agent Matt Duchene have “gone sour” over the owner’s unwillingness to relent on salary. Melnyk, of course, is notorious for being one of the stingiest owners in the NHL and it’s widely believed that his unwillingness to open up his wallet was one of the biggest reasons that the team traded captain Erik Karlsson this past offseason. Could history be repeating itself? Last week a report from NHL insider Bob McKenzie has Sens fans REALLY worried. McKenzie, the most trusted source in the entire NHL, believes that both Duchene AND fellow pending UFA Mark Stone will BOTH be traded. 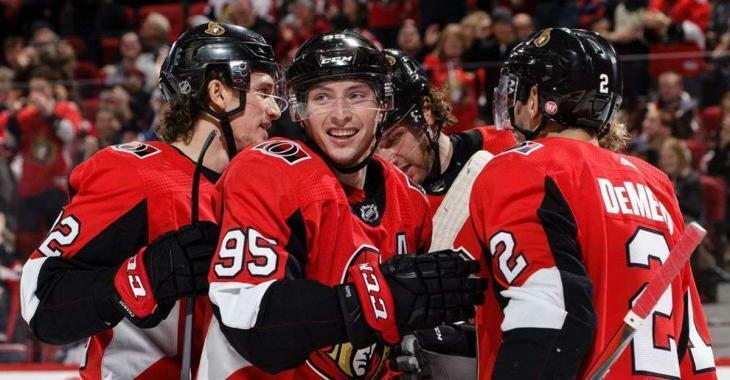 Now, earlier today McKenzie’s TSN colleague Darren Dreger came out with a new report stating that “all three” of the Sens’ big pending UFAs (Duchene, Stone and Ryan Dzingel) will walk away from the team and head to free agency. Stone is on a one-year, $7.35 million contract and could command as much as $10 million per season on a long term deal this offseason. Duchene is finishing up a five-year, $30 million deal and will likely be seeking something north of $10 million per season, as well. Dzingel, who is having a career season with 21 goals and 41 points in 53 games is in line for a sizeable gas, as well.